Money will be shifted away from the Inter-Religious Council of Uganda, a group that has publicly come out in support of the anti-gay law and has received millions of dollars in grants from the United States to help fight the HIV/AIDS epidemic. Some $2.3 million will continue to go to the IRCU to continue treatment for some 50,000 current patients, but an additional $6.4 million intended for the IRCU will go to other organizations. Second, because the law makes “promoting homosexuality” illegal, a U.S. funded study to help identify populations at risk of contracting HIV/AIDS has been suspended. The study, which was going to be conducted by a Ugandan university and the Center for Disease Control, has been suspended out of fear that both staff and survey respondents could be put in danger. And finally, the Department of Defense had several events scheduled in the country later this spring and those will be moved to other locations. “Certain near-term invitational travel” for Ugandan military and police personnel has also been suspended or canceled. 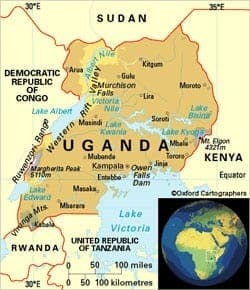 What do you think of the near-term U.S. steps in reaction to the Ugandan law?